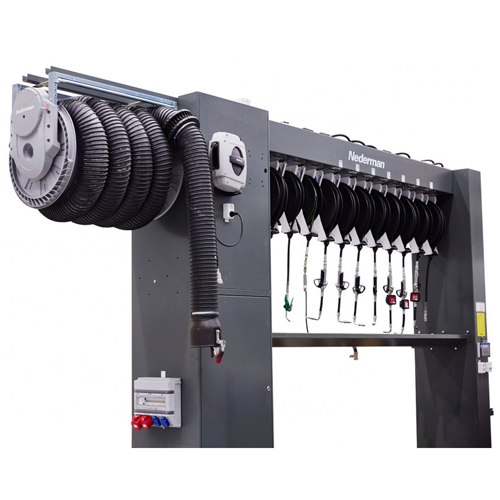 FilterCart Original mobile filter unit for light welding and extraction applications. 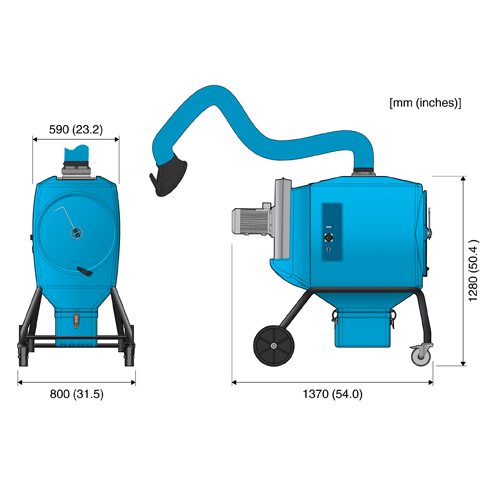 FilterCart Original includes Extraction Arm Original with an integrated spotlight, which optimizes the user-friendly design. 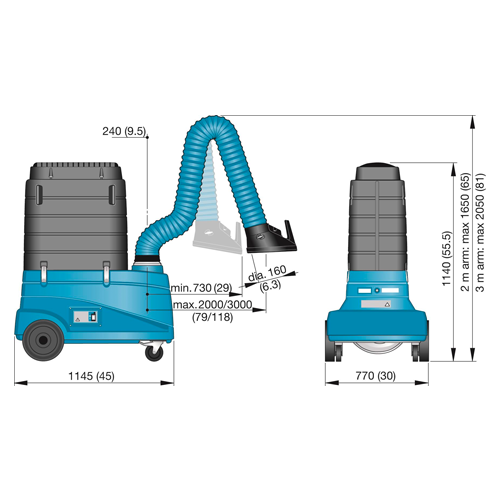 If a larger working range is needed, the 3 m (10 ft.) long arm version is recommended. 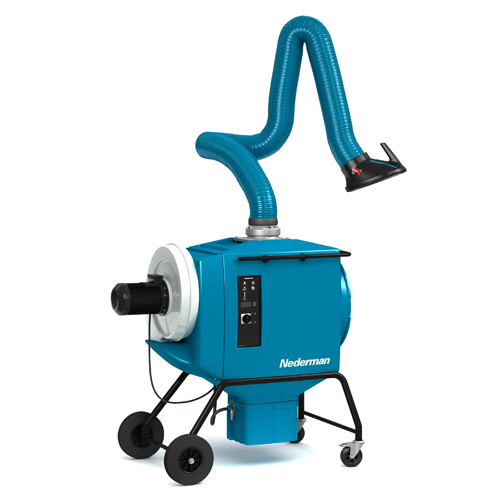 The FilterBox 12A is equipped with a powerful fan for a maximum airflow capacity of 1 200 m3/h (700 CFM). 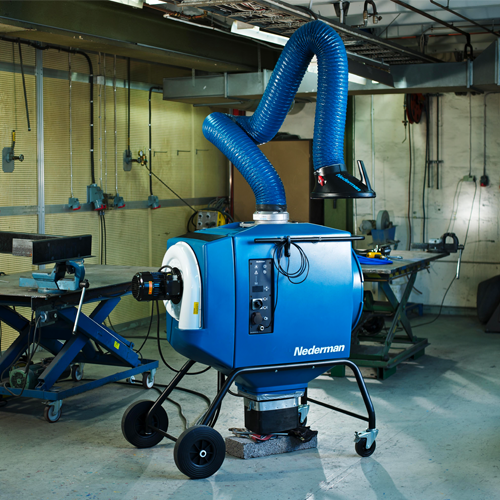 An integrated silencer reduces noise from the fan and outlet air. 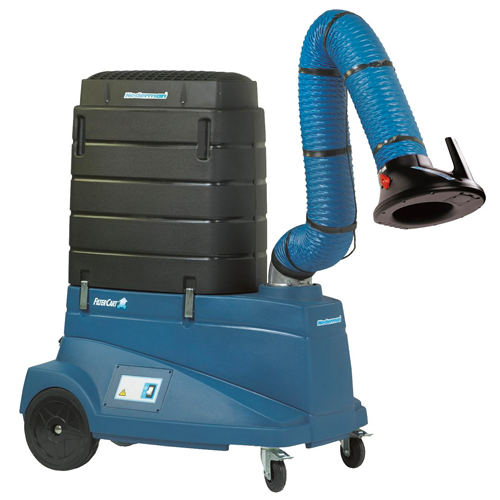 The unit has an advanced filter control system with automatic cleaning that starts when the air flow is too low. Available either as a mobile unit on wheels or attached to a floor stand. Additional protection from harmful particles is provided if a HEPA filter is installed. For all types of vehicle workshops, etc. where the hose can hang at a reachable height. 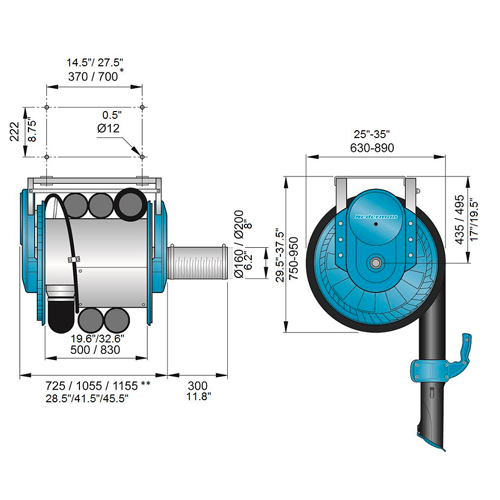 The patented spring drive makes the reel very easy to handle. 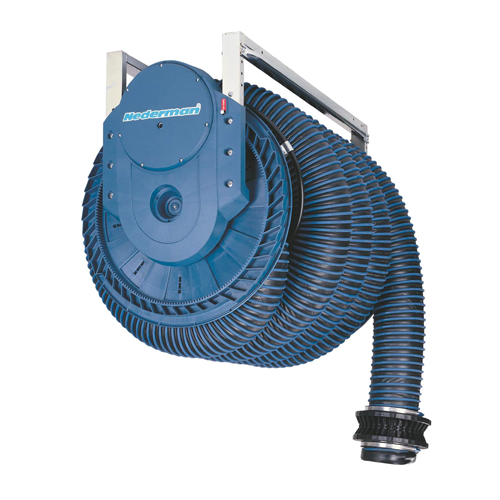 The reel is available with or without an automatic damper, the one with a patented integrated automatic damper saves energy and reduces the noise level. 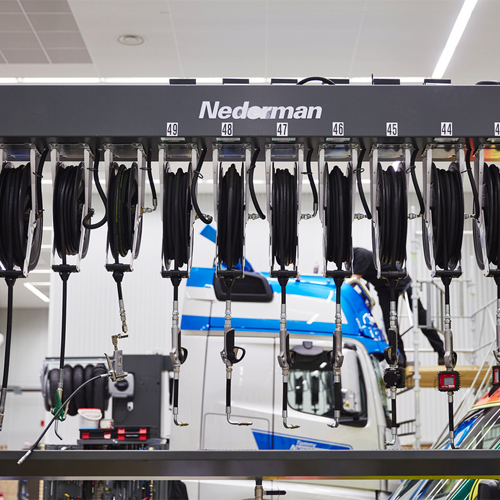 Optional retraction control is available for increased safety and efficiency. Two separate suspension brackets make mounting the reel a simple and safe procedure. The brackets are fixed to the wall or ceiling before the light-weight reel is lifted directly on to the brackets. It is possible to mount the fan directly on the reel. 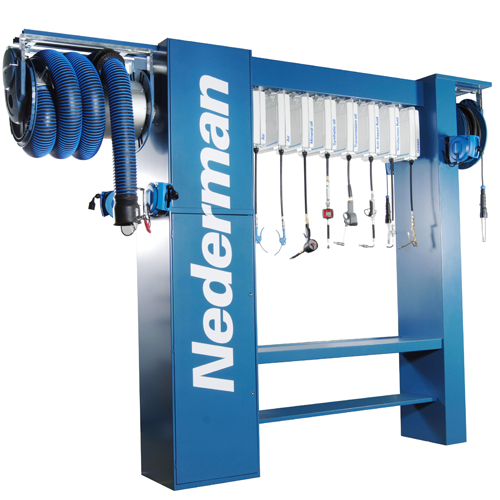 All in one workstation for your vehicle repair shop. Self-standing work station for increased availability, efficiency for service staff.